–Help us document how skiing has grown in Park City over the years. Place a dot on the timeline for the year you starting skiing here, and compare it to other visitors. –Step inside an authentic yellow gondola from the resort and listen to stories from former passengers. –If you’re feeling creative, take a seat at our coloring station, where you can decorate a skier or snowboarder cut-out with your favorite ski outfit and add it to the wall of skiers on Park City’s slopes. We’re excited for the opportunity to share this significant part of Park City’s history with our members and visitors. 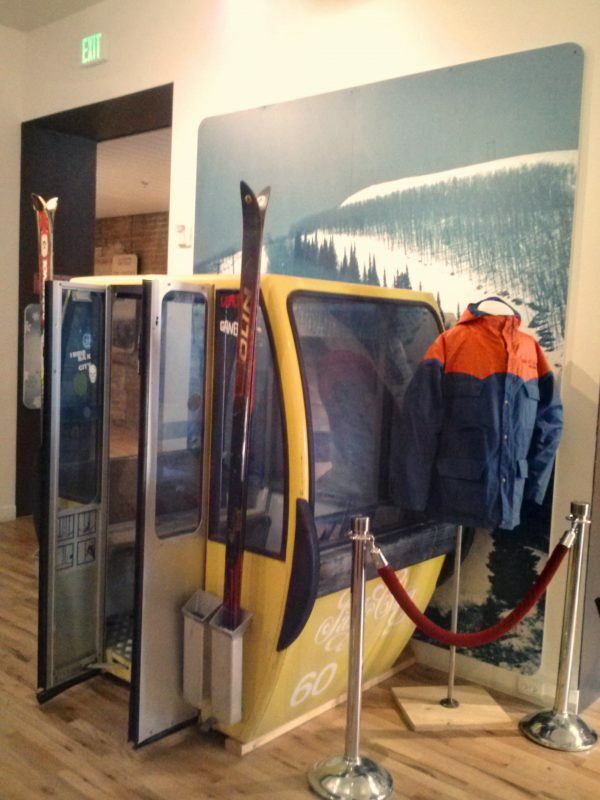 Please join us to view the exhibit and celebrate the 50th anniversary of Park City Mountain Resort. Wed, Feb 5, 5:30-6:30; Park City Museum With the opening of Treasure Mountains in 1963, a new group of people began moving to Park City. Come hear a panel discussion about what life was like in Park City in the 60s and 70s from people who lived here at that time. "Mines to Moguls" Education Programs! Tours may be scheduled until May 25 for this exhibit. Please contact Jenette Purdy at 435-649-7457 ext. 5102 or education@parkcityhistory.org for additional information. Curriculum Guide available for "Mines to Moguls." Click here.for lesson plan ideas! Park City Museum volunteer, Jim Tedford, has graciously shared two documents he worked on that might be of interest. One is key dates, events, and people in PCMR's 50 year history. The other is a map of Main Street in 1969 that he developed for his theses.